ISLAMABAD: Utility Stores Corporation’s employees gathered in hundreds in the federal capital to protest against the likely closure of the stores and demand permanent contracts. The agitated employees marched down from the corporation’s head office in Blue Area to D-Chowk, where they were stopped by police forces from proceeding forward. The employees of the country’s biggest state-run retail chain urged the government to settle Rs27.6 billion worth of its subsidy claims pending for the last seven years, which is creating a financial crunch for the corporation. They also demanded that their contracts be made permanent and their wages and salaries be increased, and said the utility stores throughout the country will remain shut from today until their demands are accepted. Security has been deployed at and around D-Chowk to keep the situation under control. Earlier in August, the government ordered the Utility Stores Corporation to halt all purchases until further notice, leaving as many as 14,000 employees without a future. 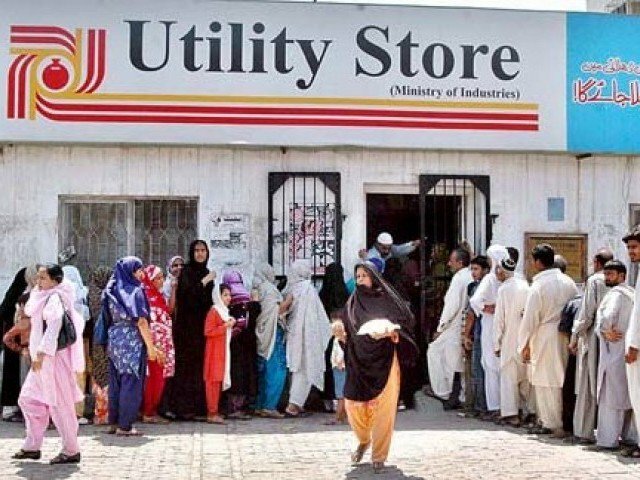 The Utility Stores Corporation of Pakistan is a state-owned enterprise that operates chain stores all over the country which provide basic commodities to the general public at prices lower than the open market.